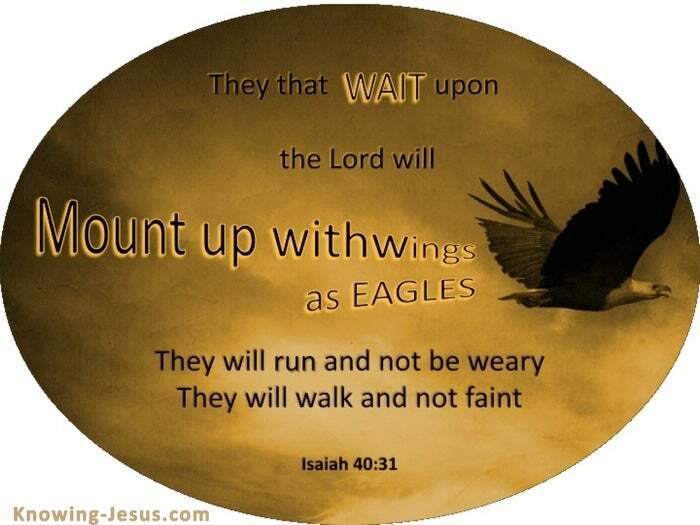 Wait on the Lord…….and He shall strengthen thine heart. They that wait on the Lord shall renew their strength. How often we are brought face to face with our own weakness. How often do we reach the extremity of our own inability. How often, through the stresses and strains of the day… through the monotony of our daily rounds.. through the spiritual conflicts that encircle us every hour.. through demands made by others on our wisdom and patience.. through demands made on our own long-suffering and gentleness – how often are we made aware of our own frailty of nature? Which of us do not faint and who is never weary? Which of us does not understand the ways of God? Which of us has not prayed to a closed heaven of brass or heard nothing but the clamour of God’s silence? Weakness bids us cast our burden upon the Lord. We do not seek renewal of human strength, but a divine strength and wisdom that He alone imparts. We seek the Mighty God Who fainteth not, neither is weary. We look for the Everlasting Father, Whose understanding is infinite. We long for the Wonderful Counsellor, Who heals all hurts. We ache for the Prince of Peace, that brings rest to our thirsty souls. His strength is enough for the infinite demands that are made of Him, and His grace is sufficient for the few demands He asks of us. We must not be careless in seeking His grace and His strength. We must not be discouraged when His answer is delayed. We must WAIT – even though heaven itself seems closed to our calls. Time is required – our times are in His hands. Quietness of spirit is needed.. for in quietness and in confidence is my strength. Are you trying to put forth more than you are receiving? Is your output greater than your intake? The fever of haste must be cooled. The frenzy to complete the urgent must be stilled. When our human strength is exhausted.. when we become weary and and impatient for His answers.. when we need Him in all His fullness – let us seek the Lord and wait patiently for Him. He has the answers and He has the strength. 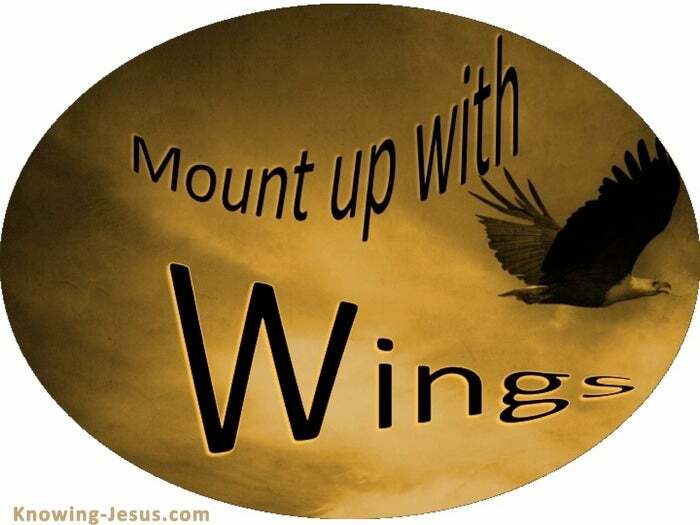 And those who wait for Him shall mount up with wings as eagles. Habakkuk tells us:- though it tarry, wait for it, because it will surely come. It will not tarry.